Anabel the vegetarian :) – This month’s interview! So, I did a very strict regime for 10 days avoiding meat and following the Ayurveda principles thinking that it was just a test to see if I could adopt another way of eating, and it worked. What were the immediate benefits of your new diet? What keeps you going? I immediately felt really well. I slept better, I did my digestion faster, my migraines were less frequent but I knew that I needed to re-learn how to eat. Describe your typical shopping basket. I try to buy everything on organic shops, but it’s not always possible (for example when I’m working). In general I buy grains (a lot of them!!) like lentils, beans, wheat, quinoa, cereals, algae, etc. seeds: sunflower, squash or chia but also super-food vitamins like spirulina, goji, and ginseng. Obviously I also eat pasta and rice and a lot of cheese! Seitan and tofu are not my favorite ones but I need them a lot, so from time to time I buy some to have at home. Fruits and vegetables have to be on season and from around the corner, as I’m living in France I like to buy them from France or Italy that has a great quality on bio-organic and in food in general. There are some fruits (especially) that you cannot find in Europe so on that cases you are forced to buy bananas or mangoes that come from abroad, but I do it a lot less than before. How did nutrition affect your sporting activities? I’m not a very sporty person. Sometimes I feel the need of walking or running a little bit but I prefer cycling. Anyway I feel a lot better now than before, with a lot more energy. It’s been a year being vegetarian so now I can tell it, but at first energy lows and you need to adapt your body to your new diet habits. I don’t have any preference but I really enjoy a complete meal with spices and fresh vegetables. I’m not a big fan of sweets like candies but I really love chocolate in winter or ice-cream in summer. Alcohol is also present in my life and I think I tolerate it better, but It’s better to avoid it…obviously it’s not good for health. What would you recommend people when they start this? What do you think the typical mistakes are when you are on such a diet? If you don’t balance your diet to obtain proteins or you don’t take into account that you need to have iron on your body it can be really hard to sustain. These two points are really important in order to be successful, so my advice is: inform yourself about the possible combinations in order to balance your diet! What about your budget? Did it stay the same or has it changed? I’m sure everyone wants to know if eating healthy food costs more money. I don’t feel I spend more money, meat is very expensive and when you are vegetarian you eat less quantity because you don’t need it much. The way to buy is different; you need to go more often to the grocery store because you need your food to be fresh. Try to avoid supermarkets! The preservatives and frozen food are your enemies! 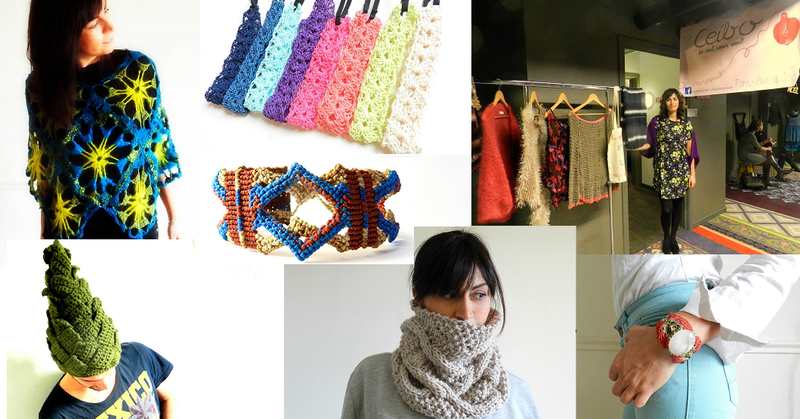 Besides being a vegetarian, Anabel also has a lovely business: she creates jewelries, scarfs, and all sorts of amazing clothing, by using natural elements like wool, precious stones, cotton, etc. You can also check out her products on DaWanda, Alittlemarket and Etsy. She also worked the Playa Limon project, which features the work of designers from Latin America.